You will find attention to detail and design in this attractive and spacious country home. Situated on 3 acres. 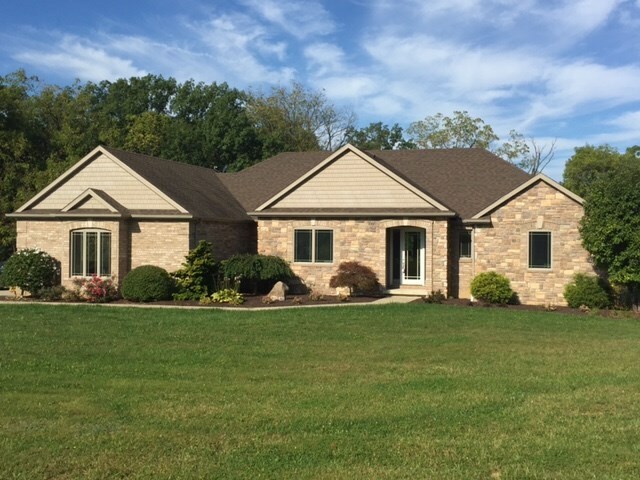 Home features main level great room with fireplace and vaulted and trayed ceiling, sunroom, kitchen with porcelain tile floor, island breakfast bar and eat-in area, office or bedroom, master suite and laundry room. The finished walkout lower level has a theater room including 140" screen TV, Sony bravia camera, surround sound system, and more, 2 bedrooms and one full bath. This home has geothermal heat and A/C, Anderson windows, 6&apos; continuous well pump, solid doors throughout, asphalt drive, and much more. The 36&apos; x 48&apos; pole building is insulated with wood stove, water and electric, floor drain, 6" concrete floor. Enjoy the outdoor pergola with a fireplace for those outside get-togethers and cozy evenings. This well built home has it all-comfort-convenience-design and privacy. Additional 16 acres for sale-see MLS 201831930.